A Danish company has developed a series of machines that can quite literally see the unseen. The silver machines use low-energy x-rays to peer inside a product, and highlight faults that other scanners fail to spot. “A typical application area (is) food packaging where we are looking into the integrity of the packaging, and the main application area is the sealing of the packaging,” Joergen continues. The x-rays can also see small differences inside natural materials like wood. “This is a knot that resembles just a small imperfection, but in reality the x-ray image here unveils it to be quite a large internal flaw,” he adds. The machines can highlight changes of just a few microns in depth. That is because the low energy x-rays use a longer wavelength that is sensitive to tiny changes in density or thickness. 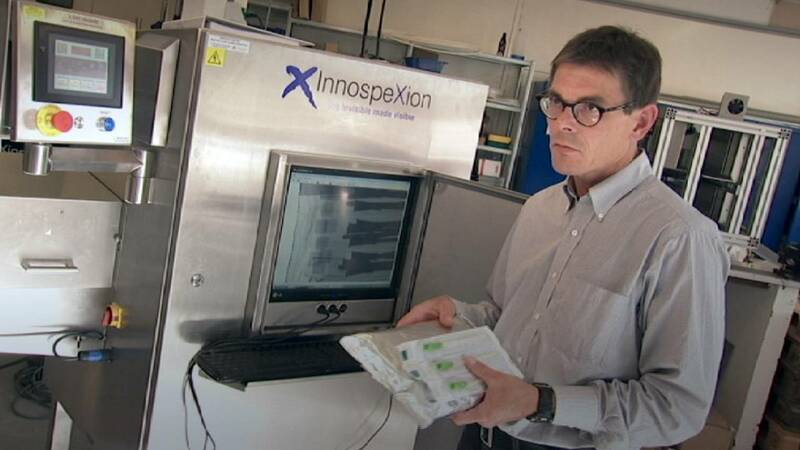 The low energy x-ray machine was developed in a European Union research project, and during the project Joergen was determined that the sytem they developed should be market-ready. “Most research projects, they finalise something, at the end of the day it works, but it has never been tested in robustness. And this has been a key point for ourselves, to make sure that this also works 24/7,” he stressed.